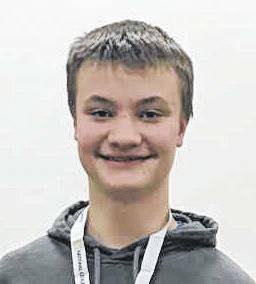 MINSTER — Eighth grade student Nate Hanson, son of Joe and April Hanson, has been named champion of the 2019 “school-level” National Geography Bee at Minster Elementary School. This “school-level” Bee is part of the National Geographic GeoBee, which is an educational competition designed for any public, private, or home school in the U.S. and its territories. The Bee was held on Jan. 11, and included participants from grades fifth through eighth. 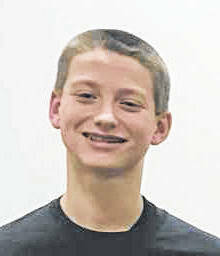 Eighth-grader Ray Purdy was dubbed runner-up, with seventh-grader James Boehnlein securing the second runner-up spot. 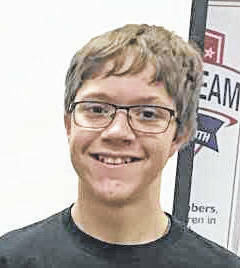 Other participants included fifth-graders Ben Meyer, Bryce Prenger, and David Rowell; sixth-graders Keri Heckman, Sarah Carney, and Lexi Hanson; seventh-graders Ryan Halpin and Keetan Sharp; and eighth-grader Drew Belcher. Hanson will now take an online geography exam to determine eligibility for the state competition. The results of this exam should be returned within a few weeks. You can brush up on your geography skills by going online, at www.nationalgeographic.com/geobee. The site posts five new questions daily from past National Geographic Bees.